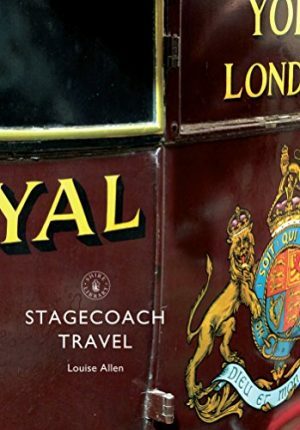 What was it like to travel by stagecoach? This book explores the experience of the passenger from the sixteenth century through to the end of the nineteenth century, focusing on the heyday of around 1750-1850. It looks at the improvements in road maintenance and the turnpike system, which made faster travel practical and led to a great increase in the use of stagecoaches. It explains who might travel in this way and why, and also shows the streamlining of the postal system through mail coaches, and looks at the practicalities of travelling, the dangers and the decline of coaching with the rise of railways. It is lavishly illustrated throughout with photographs and with original prints of the period. The earliest stagecoaches lumbered out of the mid seventeenth century. Expensive, unreliable, uncomfortable and beset with dangers, they crawled along the appalling roads and prudent passengers made their wills before setting out. Yet by 1820 a golden age had dawned for stage and mail coach travel, one that was to last until the 1840s when the railways killed not just an industry, but an entire way of life. The stage and mail coaches were a driving force of the industrial revolution. They stimulated the improvements to roads; they brought news to remote areas and accurate timekeeping to villages; employment to thousands and affordable transport to many. The name is descriptive: a coach is a four-wheeled passenger vehicle with more than one seat and with the roof forming part of the framing of the body. A stage is a predetermined distance between stopping points for changing horses. Stage wagons, slow goods vehicles with vastly wide wheels to cope with the roads, were already transporting goods and passengers by the time the first known stagecoach, pulled by six heavy horses, set out to travel the 182 miles from London to Chester in 1657 at a cost of £1 15s for the six day journey.